As a Doctor, you have the privilege of belonging to two distinct groups. One is being a member of a noble profession and regarded with high esteem by most in our society. The other is being a member of the group most likely to be a target for a law suit. Until meaningful tort reform is passed, doctors will continue to be lucrative targets for Predator Attorneys. Asset Protection for the professional is similar to Asset Protection for the business owner. Structuring your Asset Protection plan starts by looking at the activities conducted by your practice and categorizing them by the risk involved. Then, we separate the risky activities from the safe activities, and make sure the risky activities have as few assets as possible. Dr. Bill is a general practitioner (“Bill Co”). He has incorporated his business because his lawyer said it gives him protection. His company owns a medical condo, and all the equipment used to run the practice (i.e. office equipment, computers, etc.) Although Dr. Bill used to carry more insurance, now he can only afford to carry $2 million in medical malpractice insurance. The attorney forces the sale of the condo and all equipment, seizes the bank account and lines Dr. Bill’s home. While Dr. Bill can always rent space and get new equipment, due to the interruption in his practice caused by the lawsuit, he has lost patients and will have to start all over again. 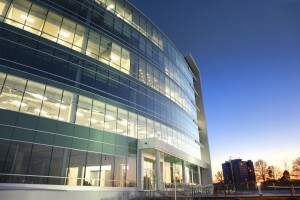 Although the corporate structure can protect your personal assets from being reached by a judgment creditor of the corporation (“Inside Liability”), it does not protect assets owned by the corporation from being reached by a judgment creditor in the event of a judgment against the owner of the corporate shares (“Outside Liability”). Now let’s take a look at a different way Bill Co. could have been set up. Bill Co. operates the medical practice. Bill Co. is owned by Bill. The medical condo is owned by Property LLC. Property LLC is owned by Bill. The equipment is owned by Equipment LLC. Equipment LLC is owned by Bill. Bill also owns another LLC, Finance LLC, which operates as a financing company. The medical condo was purchased by Property LLC and financed by a traditional commercial lender. The down payment was loaned to Property LLC by Finance LLC. After the closing, Finance LLC placed a second lien on the medical condo to secure repayment of the loan. Bill Co rents the medical condo from Property LLC. The equipment was purchased by Equipment LLC with a loan from Finance LLC and is leased to Bill Co. Finance LLC has lodged UCC financing statements to secure its lien on the equipment. Each month Finance Co. loans Bill Co. the amount of its receivables and lodges a UCC financing statement to secure this loan. Each month/quarter, Bill Co. makes lease payments to the different LLCs. The amount of the payments would be in an amount equal to the usual profit from Bill Co. The LLC’s make payments to Finance LLC, basically shifting Dr. Bill’s profit to Finance LLC, an entity with virtually no risk. Now let’s go back to the same example and see how things turn out. When Predator Attorney looks into the corporate assets, he discovers that Bill Co. leases the medical condo and all equipment. Bill Co. has minimal cash in the bank since it is all paid out to employees, expenses, lease payments and repaying the loan from Finance Co.
After reviewing the situation, Predator Attorney instead decides to go after Dr. Bill’s personal assets. If he didn’t have a judgment against Dr. Bill personally, in order to get to Dr. Bill’s personal assets, he would have to try to pierce the corporate veil. When Predator Attorney tries to do so, however, he would not succeed because Dr. Bill has subscribed to our Corporate Protection Program where for a small monthly fee, we have helped in comply with all corporation formalities (i.e. resolutions, annual meetings, documented minutes, timely filed annual reports). Even with the judgment against Dr. Bill personally, however, Dr. Bill’s personal assets are protected since he’s used us to set up the Basic Level Protection. So, the insurance settlement is the plaintiff’s only recourse. That’s why you pay your monthly premiums and rely on The Asset Protection Law Center for full Asset Protection. If you want to set up Barriers to protect your Nest Egg, click here to Contact Us to set up a free 30 minute confidential consultation.